The Neoss ProActive® Tapered implant is a truly universal implant which provides quick engagement, fast insertion and excellent stability in cases with soft bone. 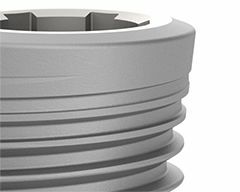 The conical coronal flange with additional threads has been carefully designed to provide improved stability and faster healing in extraction sites and cases substantially relying on cortical anchorage. 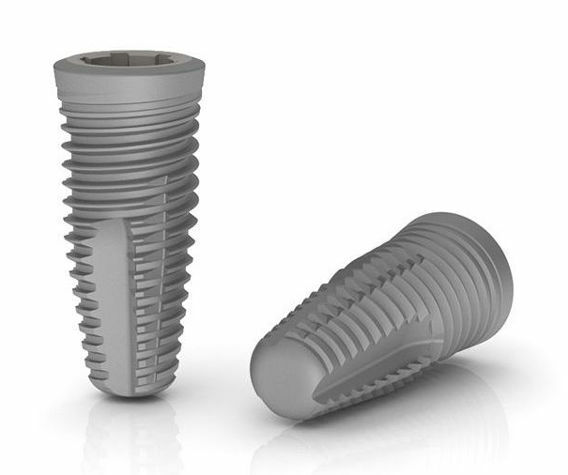 The Neoss ProActive® Tapered Implant has a low surface roughness flange (Sa <0.4) designed to reduce marginal bone loss, while the rougher body (Sa 1.0) optimizes osseointegration. 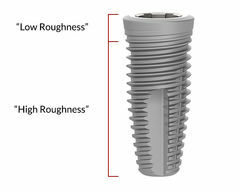 The low surface roughness flange allows implant placement subcrestal, bone level, or supracrestal. 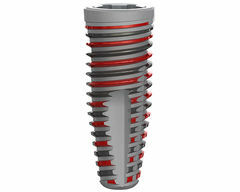 The ProActive® Tapered Implant has a super hydrophilic surface demonstrated by an immeasurable low contact angle. 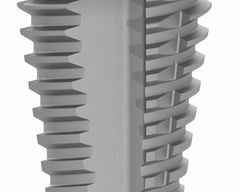 The Neoss ProActive® surface has demonstrated faster and stronger osseointegration (when compared to blasted surfaces)1. 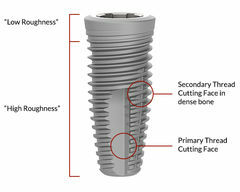 The combination of the unique Thread Cutting and Forming (TCF®) design and tapered implant body provides excellent stability in compromised cases and predictable seating in dense bone. 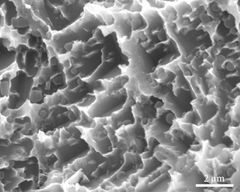 An ultraclean low carbon surface is achieved by a combination of cleaning process and packaging in a glass vial. 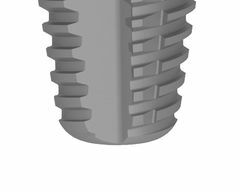 The apical profile provides ease of placement in soft bone cases where under-preparation is desirable or where there are narrow roots or walls. 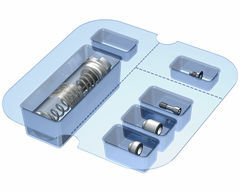 The rounded tip is designed to protect the sinus floor membrane. 1. Gottlow J &amp; Sennerby L, 2010. ‘Influence of surface and implant design on stability of five commercial titanium implants. A Biomedical study in the rabbit’, AO Meeting, Post 83. 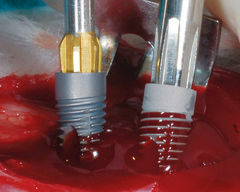 Neoss® implants are suitable for both conventional and challenging treatment protocols. This includes immediate loading, early loading, immediate replacement, and treatment of patients with poor bone quality and other risks factors. The bar illustrates the ideal bone density range for the optimal placement of Neoss ProActive® Tapered Implants. Commercially Pure Titanium Grade IV. The Implant Kit includes Implant, Cover Screw, Healing Abutments in PEEK in two different sizes, and Healing Abutment Screw. The prosthetic platform measures Ø4.0 with six internal rotational positions. The implants are ‘double threaded’ for fast insertion and are designed to achieve additional stability in poor quality bone. Thread cutting is provided by the primary cutting faces. 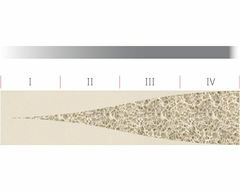 The secondary cutting faces engage and improve cutting in dense bone. The Neoss ProActive® surface is created by a multistage blasting, etching and super hydrophilicity treatment. The surface roughness is Sa 1.0μm over the fully threaded part of the implant and a reduced, Sa <0.4μm, over the flange (~2 mm) of the implant.